“One Rode In” is a psychological odyssey. 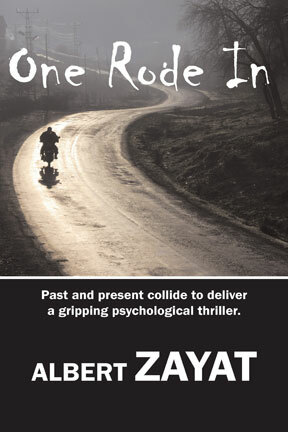 From the first page to the last you are riding with Cal, a man in an extreme state of mind. You witness all he does the way he does. This extreme story shown in an extreme way with a surprising ending. Take the ride. It’s fun, bumpy, happy, sad and in the end worth it. Copyright © 2019 Albert Zayat. All Rights Reserved. The Arcade Basic Theme by bavotasan.com.